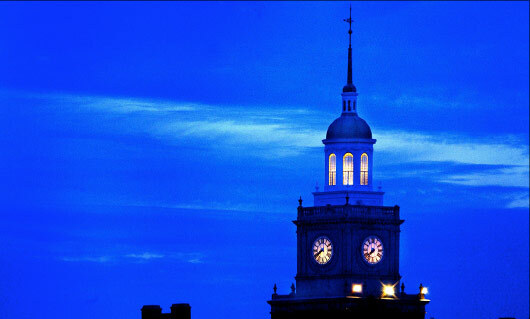 Howard University was founded on March 2, 1867. “The Time is Always Now: Celebrating 150 Years of Excellence in Truth & Service” reads the official site for Howard University’s Sesquicentennial. For the historic university, this milestone is an opportunity to show that its legacy is even more important to society than ever. A committee of more than 30 faculty, students, staff and alumni is coordinating events throughout the year. The committee co-chair, Danielle Holley-Walker, dean of the Howard University Law School, shared her excitement about the milestone year. The major events will occur during charter week to coincide with the university’s founding on March 2, 1867. They include the Charter Day Convocation, the Charter Day dinner and a special sesquicentennial celebration at the Smithsonian’s National Museum of African-American History & Culture. “From Houston to Murray: Pushing Beyond Constitutional Equality, Moving Towards Justice” from Sept. 19-20. A university-wide, sesquicentennial-themed event during homecoming in October. Walker has enjoyed seeing cooperation from across the campuses in creating these events. Despite the widespread celebrations and events planned across the university for this milestone, Howard student Jasmine Scott doesn’t believe the African-American community praises itself as it should. Walker says students can still become involved in sesquicentennial celebrations. Students can enter the Charter Day essay contest, attend the sesquicentennial fashion show or submit event ideas to the Sesquicentennial Committee. Despite not having attended Howard, Walker believes she is “a student of the university’s history” and is pleased to be able to co-chair the celebrations with Calvin Hadley, student ombudsman and advisor to the president. Freshman Kathleen Wages, who hasn’t declared a major yet, is certain that the Howard legacy is one she wants to celebrate.